Leave No Trace is one of the core principles of Where the Sheep Sleep, Burning Man and every Burn event. Essentially, Burners take responsibility for their environmental impact. Rather than leaving a sea of beer cans, cigarette butts, half-eaten food, discarded packaging, grubby clothes, wellies, sleeping bags and abandoned tents, Burners leave only footprints – dust to dust. It is up to each of us to ensure the long-term survival of our event – and environment – by practicing LNT. These top tips will help show you how, through proper preparation and knowing the drill throughout the festival. Avoid packaging: remove all excess packaging from everything you buy (food, supplies, tools) before you pack it. Not bringing packaging is one of the best ways to avoid creating rubbish at WtSS. Compostable containers are better; re-usable containers are best. Bring your own cup and bowl: disposable cups, plates and cutlery are one of the biggest sources of trash at festivals. Burners make sure they always have an easy-to-carry cup with them to use anywhere, anytime. Be responsible for your cup and keep it clean. 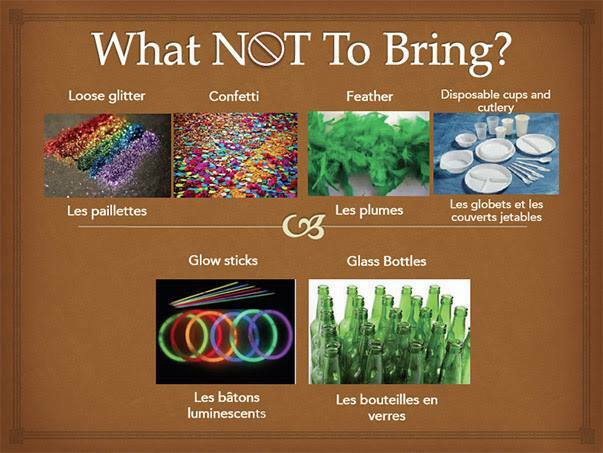 Do not bring: anything that can come loose and loose glitter and feather boas. Items such are impossible to recover and contaminate fragile ecosystems. We repeat: do not bring glitter or feathers. Please! Do bring: bin bags. Ensure you pack bin bags for trash and recycling. Never let MOOP (Matter Out Of Place) hit the ground. Clean as you go. MOOP attracts more MOOP. When you see trash on the ground, pick it up and take it with you – you won’t see it later as layers of dust – or grass- accumulate. Never, ever drop butts. Help keep cigarette butts from being one of the top MOOP items. Leaving No Trace does not end when you hit the pavement. Do not dump your trash anywhere in neighbouring communities that are not a designated trash or recycling site. Stop periodically and check to make sure your vehicle’s load is secured and hasn’t loosened in the wind.